If you intend to organize your child’s birthday or a party for children either at home or school, will certainly looking for an amusing program for kids to ensure a successful party. The most important thing to focus on in children’s parties, especially from the age of 3-12 years is vital for more fun Activities and carnival games for kids during the ceremony. Today on our blog * DecorationY * we give you some ideas for a special ceremony for children through special and easy carnival games and birthday games ideas that you can rely on either indoor the House or outdoor in the garden or even in school. With an explanation of each game and tips for everything, you will need to make it happen smoothly to ensure success and special party or birthday. In this article there are many entertainment carnival games for children from 3 to 12 years of all types (relays, movement, music, calm, understanding, action, wait), suitable for the birthdays , Carnival, Halloween, summer camps, but also great distances, toys to entertain at dinner or lunch, ideas for creative workshops. and this cool game room ideas will be perfect for your kids. For each game description, required equipment, the minimum number of participants, whether it was appropriate to close or open. Hope you enjoy reading. and explore this best kids playroom ideas your kids will love. Take a look: Happy Friendship’s Day: Let Flowers say it All! This game helps your kids from 3-12 years to practice concentration, memory, and also anything you want them to learn! Put one card under one of the 3 cups and make your child looking for it . this game fit into one child in every game to win or Loss, to compete with his friends. IN this game, all you need is a group of cardboard and markers to make a Scrabble board that spans the whole yard! and get the kids off their mobiles and joy with playing a real life version of Words With Friends! Crafty & fun Carnival games Fun, these monster cutouts is very cool game. suitable for 2 kids for more joy. and need to wide space as a home garden. This game needs to more focus on the bottles and hit the target, suitable for children over the age of 5 years to have the ability to focus on the game and compete with their friends in an atmosphere of fun and joy and a sense of the spirit of winning and losing. in this game, you must make paddles by gluing paint sticks to paper plates, one per guest before the party. The paddles can be kept simple by using white paper plates, or you could use plates to match the party theme and decorate the wooden “handles” with matching Washi or Duct tape. 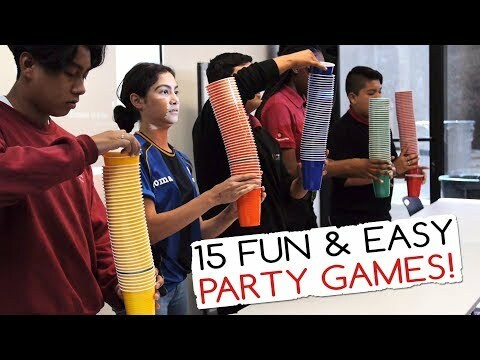 This is one of the most entertaining birthday games for young and adults. give more of fun and joy. Famous birthdays games. put the chairs in two rows back to back or in a circle facing outward. Have every child stand in front of a chair. Start your child’s favorite music. Children walk around the chairs. Remove a chair. Stop the music and have everyone take a seat. The child/ren without a seat can help you remove two chairs the next round and so on. The last man seated wins. Encourage your kids to eat their favorite candies through entertaining gameplay. A race between children eat the hang donuts without using their hands and who ends up I eat his cake be the winner. the water guns game us a popular and safe games to children and very suitable for children less than 6 years.